Tech lovers who enjoy a good read but don’t relish the thought of carrying around numerous pocket-sized paper tomes were amongst the first to openly welcome the arrival of e-Readers. 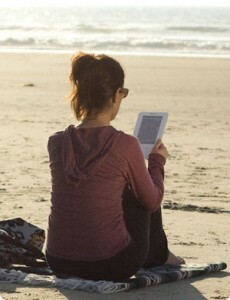 Unlike reading text on backlit LCD displays, e-Readers introduced a new technology which was claimed to be as easy on the eyes as reading a paperback. The digitization of literary works has of course been chugging away for a good number of years but the very first devices built specifically to read books electronically were the pocket-sized Rocket eBook from NuvoMedia Inc and the Softbook from Softbook Press, both appearing in 1998. Sony’s PRS-500 launched in 2006 was the first to use a new technology based on research by the MIT Media Lab and developed commercially by the e-Ink Corporation. Rather than discuss the benefits or drawbacks of e-Readers at length, in this article I explain how the e-ink technology actually works. Electronic ink is “a straightforward fusion of chemistry, physics and electronics” according to its developers. Sounds simple enough but masks some very clever technology which sees millions of tiny electrically charged microcapsules suspended in a clear fluid and which can be individually controlled by administering an electric field – a process called electrophoresis. About the diameter of human hair, each microcapsule carries both positive and negative charged pigmented particles. The capsules are suspended in a liquid carrier medium and sandwiched between two arrays of electrodes, the upper one being transparent. 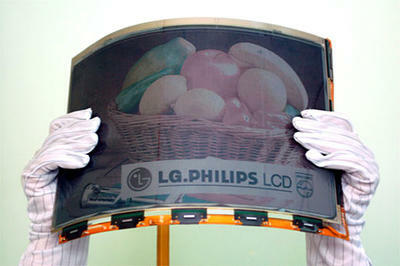 Aligned to correspond to the size of pixels, the resulting film is laminated to circuitry which controls specific points on the display by the application of an electric field. When a negative electric field is applied to the surface electrode, positively charged white particles move to the top of the capsule and an opposing field underneath drags the black color to the bottom. So anyone looking from above will see a white spot. Conversely, as you might expect, the negative black particles move to the top when a positive surface field is applied (and the white ones hidden underneath by a negative field) resulting in a black spot at the surface. display at pixel level. Et voila! The resulting e-Reader displays are said to be easier on the eyes as the image does not need to be constantly refreshed and doesn’t need its own light source. Readers can also be used in direct sunlight without image fade and are lightweight and durable. Future development is heading towards full color displays for a greater magazine reading experience and e-Skin, which could see the whole surface of devices being used for display purposes. 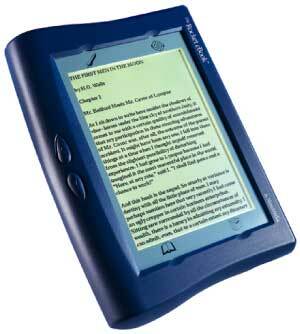 Do you use an e-Reader to read books or is traditional paper still the preferred format?